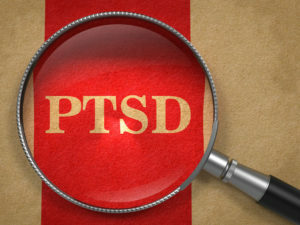 PTSD is a term for the difficulties that sometimes follow a traumatic event. The triggering events can include experiences like motor vehicle accidents, being the victim of a crime, physical or sexual abuse, combat experiences, and many others. Symptoms can include nightmares, avoiding reminders of the traumatic experience, difficulty sleeping, increased alcohol or drug use, mood problems, trouble remembering important features of the traumatic event, avoiding thoughts or feelings related to the event, and others. PTSD is more common than you might think; it affects 10% of women and 4% of men at some point in their lives. PTSD often goes unrecognized by those suffering from it. Sometimes this is due to a lack of familiarity with the condition. It can also stem from thinking that one is “over” a past difficult event even though related difficulties continue. People suffering from posttraumatic stress who do not realize it often blame themselves for not having been able to “just get over” the event. However, for these people, it’s not as simple as “just getting over” their difficulties — professional treatment is often necessary. Others with posttraumatic stress fall into the habit of blaming themselves for the traumatic event. Still others come to increasingly believe that the world is an unsafe place, or that other people should be seen as potentially dangerous. The primary treatments for PTSD involve psychotherapy. Medication is sometimes used as well, but the psychotherapy is typically considered primary. Cognitive-behavioral therapy is an effective treatment for PTSD. Various specific types of CBT have been proven effective for PTSD, including Cognitive Processing Therapy (CPT), Prolonged Exposure therapy (PE), and STAIR. CPT emphasizes changing your thinking in order to change the way you feel. PE therapy teaches you to gradually experience and cope with difficult memories and feelings related to the traumatic event. STAIR helps you with present functioning as well as with how to more healthily understand what occurred in the past. PE and CPT are available at the Manhattan Center for CBT. Doctors Belcher, Greene, Pavony and Perera all have expertise with these techniques. Finally, for more information, consult this brochure from the National Institutes of Health, or click the link below.